We don't know if humans visited the spring at the same time as Molly, but if the Lamb Spring site produces evidence that they did — and it tantalizes with hope — the site could rewrite the scientific and cultural history of North America. And perhaps offer the Denver area a new attraction. Lamb Spring sits in the Chatfield Basin, between South Platte Canyon Road and Chatfield Reservoir. "Stand on that site (Lamb Spring) and look around. You realize you are in the middle of one of the fastest-developing areas in Colorado," said Jim Walker, southwest regional director for The Archaeological Conservancy, an Albuquerque nonprofit that buys archaeologically promising land and safeguards it from development. The conservancy bought the Lamb Spring site in 1995. "The fact that we were able to find that site, buy it and preserve it, at the time we did, was a miracle. I'll bet within 10 years that area is going to be covered in houses." Walker believes further excavation of Lamb Spring could show human activity between 13,000 and even 25,000 years ago, in which case "there would be a lot of rewriting of the peopling of North America." "I would place Lamb Spring really high, in terms of its importance," he said. "If I were ranking Lamb Spring among the other 450 preserves we have, it would be in the top 10." Evidence of Pleistocene megafauna like mammoths makes the Lamb Spring dig compelling in its own right, but mammoth sites pepper the West. Early-human findings, in contrast, are rare. Placing both in the same location sets Lamb Spring — the largest "mixed dig" in the country — apart. Today, the Lamb Spring dig amounts to little more than a weed-choked and trash-sprinkled depression in the ground, a cavity surrounded by 35 acres of undulating, fenced-in prairie. An informational plaque sits beside the gated dirt path that leads to the site. Once a week for half the year, people can watch a video about the site and then follow a tour guide to the swale to observe the grass. If it weren't for a rancher's desire for a stock pond 50 years ago, the bones of Molly and 30 other mammoths — the largest find in Colorado, and the third- biggest in North America — would likely remain buried. But in 1960 Charles Lamb decided to use a spring on his land to make a fishing pond, and while digging he struck some big bones. Geologists identified them as mammoths. For North American archaeologists, the faintest whisper of "paleo-Indian" usually sends hearts racing. Walker said he'll "drop everything" if he hears of a site that could be purchased. Signs of early humans in North America are scarce, largely because the population was small and nomadic. Most evidence amounts to a scrap here, a smidgen there. But in addition to Lamb Spring's threat to upend the history of the peopling of North America, it also shows clear signs of a 9,000-year-old "Cody complex" bison kill, a site, similar to one found in Cody, Wyo., where humans camped, slaughtered buffalo, cut the meat, and hammered at bone with rocks to withdraw marrow. That alone makes Lamb Spring beguiling to archaeologists. But Lamb Spring, too, holds hints that the site was more than a quick way station for early hunters. "I think Lamb Spring could yield what would be a jackpot — a campsite or village," said Walker. "That would be incredible." 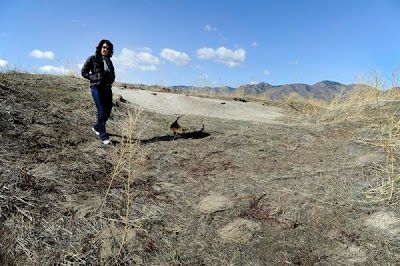 "The site tells us about the ancient environment, about the environment of the Front Range and the foothills, what they were like in the past, how it has changed, how climate has changed," said James Dixon, a University of New Mexico anthropology professor who has been active in Lamb Spring. "And it has the archaeological story, a later chapter. It has a lot of potential." That potential seems to spread beyond Lamb Spring, too. 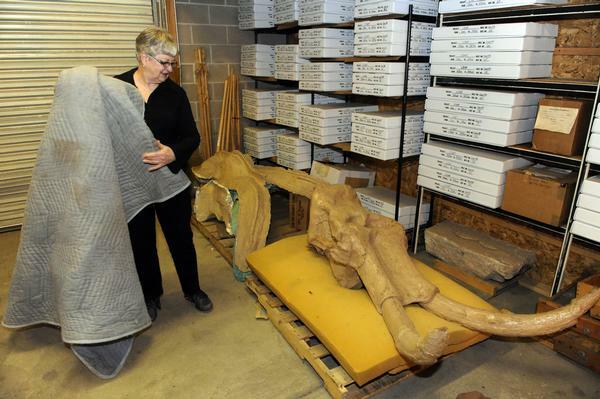 Just three-quarters of a mile away, archaeologists from the Denver Museum of Nature & Science are unearthing mammoth bones and signs of early humans at a site they call Scott Spring. "It's like a mini-Lamb Spring," said Steven Holen, curator of archaeology for the museum. "At Scott Spring we are seeing bones even older (than at Lamb Spring) that appear to have been broken by humans. That's what we are doing there — looking for evidence of humans older than Clovis (11,200 years ago)." "There was ivory lying all around," Holen said. 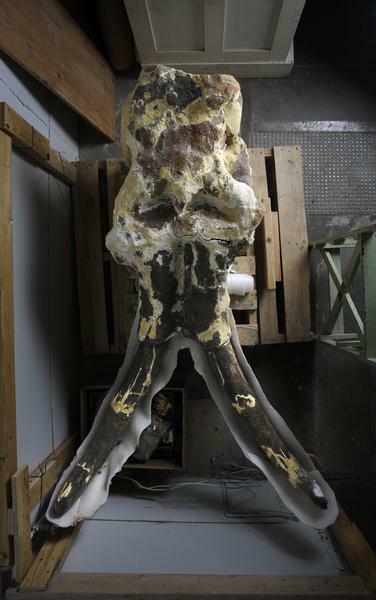 So far, they have identified a mammoth, a camel and a Pleistocene horse. "These spring sites have great promise," he said. "They used those springs and hunted around those springs for thousands of years."